Vintage dishes, vintage silver & gray ornaments, combined with silver chargers and a mirror – simple, easy, elegant and inexpensive! Love the reindeer place card holder.. Fantastic use of natural elements, animals sheds, tree branches, greenery…the linen runner sets it off. The fold of the napkins is unique and the woolly runner is simply elegant. Who wouldn’t love to be invited to this dinner party? For those who prefer non-traditional colors…simply breathtaking. This simple & elegant table decoration from “many hoops.com” is easy enough for anyone to try. I hope you enjoyed this selection I have chosen and I would love to see some of your favorites…. 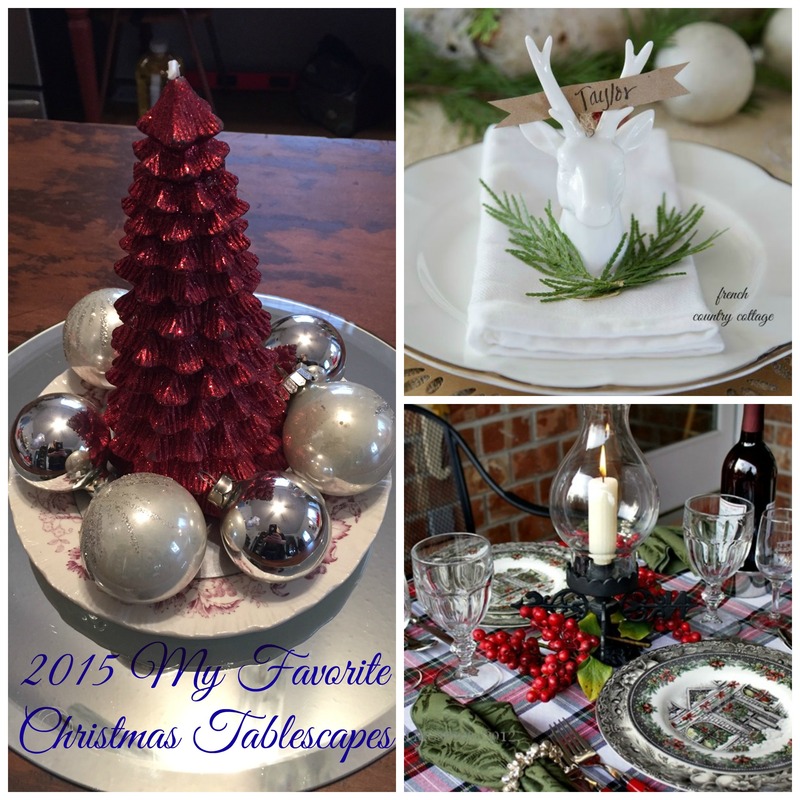 A beautiful Christmas tablescape…It’s A Wandaful Thing! This entry was posted in Decorate, DIY and tagged animal sheds, antique, burlap, candles, chargers, cheap, Christmas, cranberry, creativity, Decorate, dining table, dishes, DIY, easy, gingerbread, greenery, inexpensive, linens, living, napkins, ornaments, place cards, plaid, recycle, reindeer, repurpose, reuse, simple, tablescape, traditional, vintage. Bookmark the permalink. WOW lots of different ideas and color schemes. Something to think about!! !